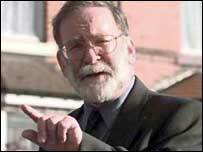 Seven doctors are facing charges of serious professional misconduct over alleged failures that allowed Harold Shipman's murders to go undetected. The doctors, three of whom are still practising in Hyde, will appear before a General Medical Council (GMC) professional conduct hearing. 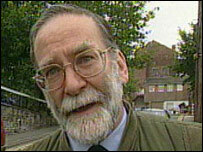 Shipman murdered between 230 and 275 people over a 23-year period. The GMC launched an investigation into the doctors after criticism in the third Shipman Inquiry report. Six of the doctors are GPs named by the GMC as Dr Peter Bennett, Dr Susan Booth, Dr Jeremy Dirckze, Dr Stephen Farrar, Dr Alistair MacGillivray and Dr Rajesh Patel, who worked in the Clarendon House and Brooke practices in Hyde. Retired pathologist Dr David Lyle Bee is due to face a hearing on 27 September in relation to a post-mortem examination report on one of Shipman's victims. The GPs were criticised by the Shipman Inquiry - which is being conducted by Dame Janet Smith - for failing to question the doctor's unusually high death rates, his presence at many deaths and his use of terms such as "old age" and "natural causes" under the Cause of Death section of the form. The doctors signed a total of 214 of the certificates - known as Form Cs - for Shipman's patients. The inquiry ruled that 124 of those patients were unlawfully killed. Dame Janet said in the conclusion to her third report: "The Brooke Practice doctors convinced themselves that the high number and apparently unusual features of Shipman's patient deaths were attributable to the prevalence of elderly patients on his list. "All the Hyde doctors now accept that, if they had questioned a relative or person with knowledge of the death, they would in many cases have discovered facts which would have caused them to refuse to sign Form C."
Solicitor Ann Alexander, who represents the families of more than 200 of Shipman's victims, welcomed the hearings but questioned the GMC's credibility. "It is difficult to justify to the families the length of time it has taken to bring this action about, especially when taking into account the severity of the charges they face," she said. "It has taken many deaths and much time for the GMC to investigate. "Many families have criticised the effectiveness of the GMC to take action when complaints are made." Dr Patel said he, Dr Dirckze and Dr MacGillivray, who are still practising at Brooke Surgery, were "shocked, stunned and bewildered" by the GMC's decision to charge them. He said: "We have put so much time and effort into helping rebuild the community of Hyde and restoring trust and just feel it's been thrown back in our faces. "We have made huge changes to the way we practise since Shipman's arrest and have even advised local authorities on the way forward. "We have the full backing of our patients and find it surprising that the GMC, which is itself under scrutiny, should feel the need to bring these charges against us." Hyde GP Shipman, found hanged in his prison cell in January 2004, was jailed four years ago for killing 15 of his patients, but the inquiry concluded he killed more than 200 others - making him the UK's biggest serial killer. In most of the cases, he covered his tracks by signing their death certificates and avoiding the involvement of a coroner. When the body is cremated - as many of Shipman's victims were, taking away any chance of proving in court he killed them - a second doctor is required to sign the form. Dame Janet has called for a review of the system which allows GPs to countersign the certificates before cremations take place. Two other doctors, Dr Murtaza Husian Husaini and Dr Geriant Brown, are being investigated by the GMC. A GMC statement said it was aware of concerns about both doctors and it was "looking to see what action, if any, may be necessary." "In the town, there is a feeling the doctors are scapegoats"